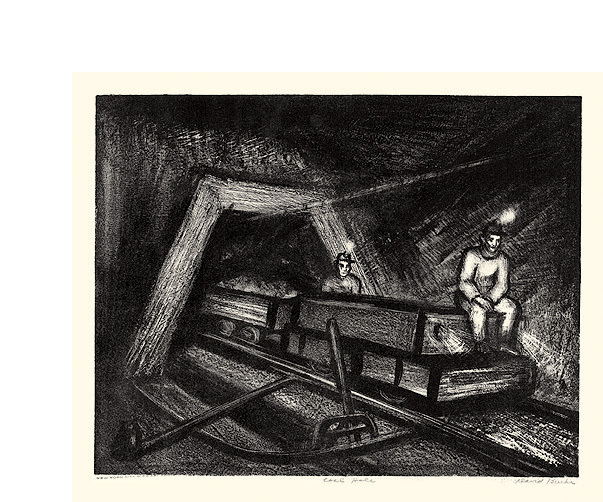 Coal Hole ---c. 1935, Lithograph. Edition c. 25, Signed and titled in pencil. Stamped NEW YORK CITY WPA ART PROJECT in the bottom left margin. Image size 11 1/8 x 14 1/4 inches 9283 x 362 mm); sheet size 13 x 17 inches (330 x 438 mm). A fine, rich impression, on cream wove paper, with full margins (5/8 x 1 1/8 inches), in excellent condition. 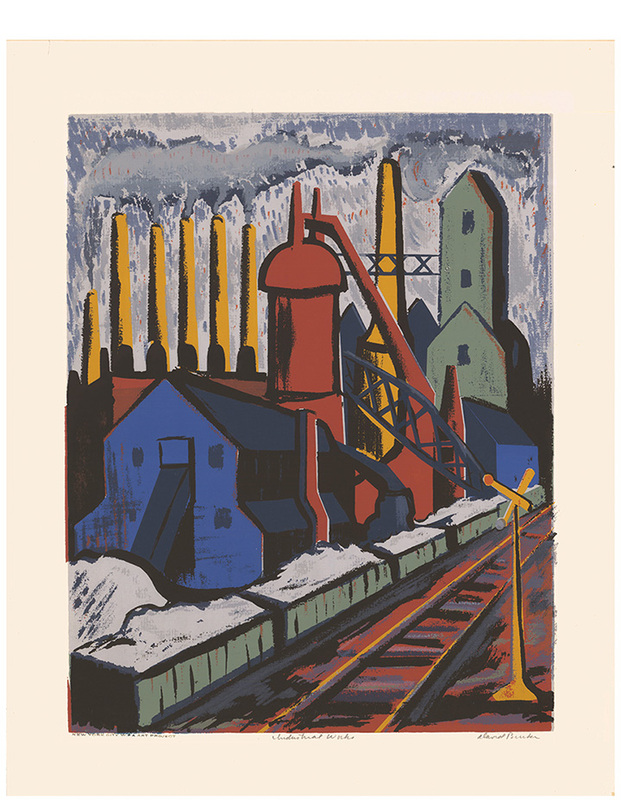 Industrial Works ---c. 1935, Color Serigraph. Image size 14 7/8 x 11 3/4 inches (378 x 298 mm); sheet size 19 x 14 7/8 inches (483 x 378 mm). A fine, painterly impression, with rich, fresh colors, on off-white wove paper; full margins (1 7/16 to 2 1/8 inches), in excellent condition.